A quick Neko x64 update! For anyone who’s been using neko x64 on Windows Vista or Windows 7 and seeing something like the above, it turns out the fix was really easy and really simple. As mentioned by mikesword221, all you have to do is make it ‘always on top’. Then hit ok and Neko will now look normal, with no more ghosting. 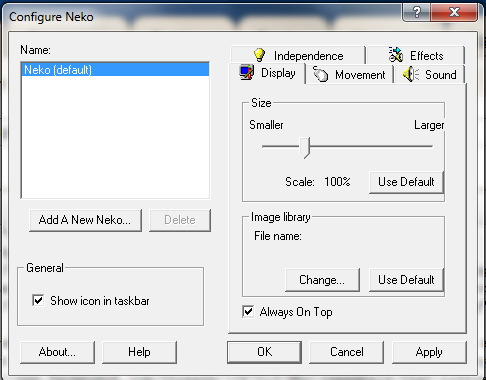 Later on I’ll have to make an installer, and fix it so that neko is always on top. 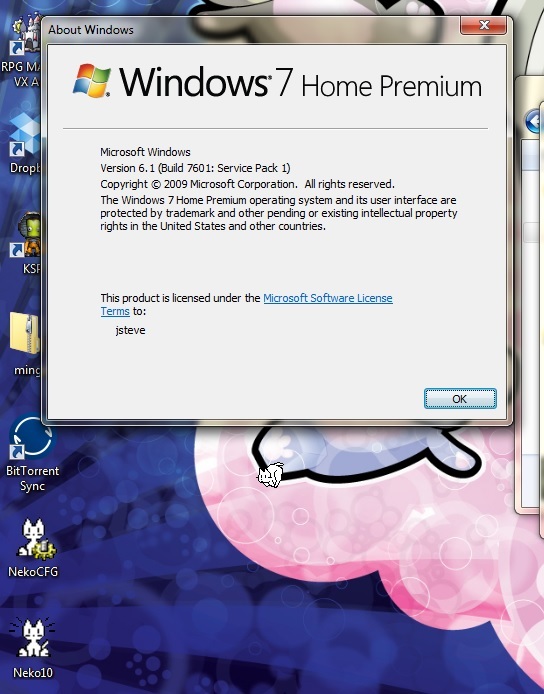 Author neozeedPosted on March 8, 2011 February 11, 2014 Categories neko, Windows 7, windows vista, x646 Comments on A quick Neko x64 update! Ok, I know it’s been all retro SQL server but bear with me… MSDE/SqlExpress is just too small for some pet project, and I want to run my SQL natively… So it’s 4.21 for now. So with a little tweak you can get it running on Windows 7, and have .net talking to the database. Another note is be sure to run the sqladmin tool, and hit the ‘system’ button, then under the manage menu, select the system configuration. By default it won’t accept remote connections, and limits itself to 6MB of ram! 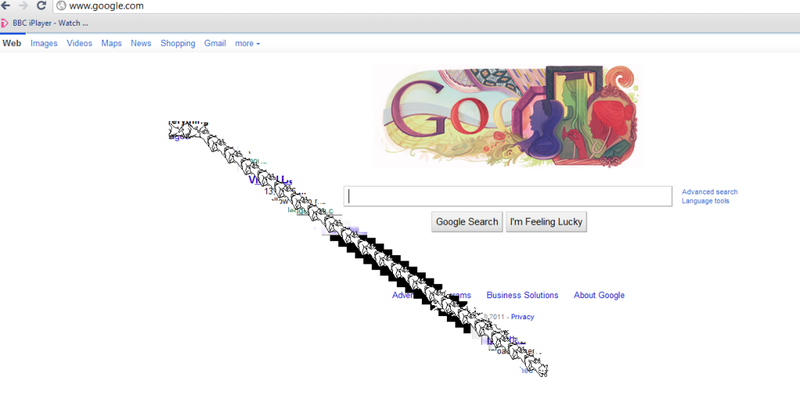 You’ll want to bump up its system limits. I’d also say use tempdb in ram, as you probably have more ram in your computer then any server back from 1992… I have 8GB for example on my desktop. 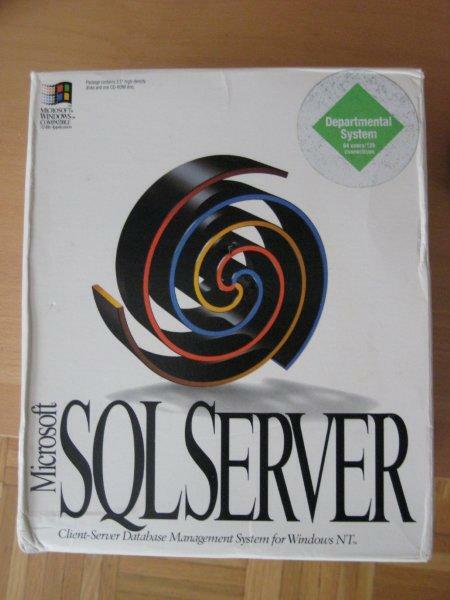 Someone sent me some questions about SQL Server 4.21. I guess since it’s a ‘rare’ item, and most people will never see one in the wild, I thought I’d show some of it off. So there you go, that’s the PC I used, and the software as mentioned. As you can see from the SQL Server box, it’s the “Departmental System” version good for 64 users/128 connections. I guess for the others interested I’ll show some box contents or something. 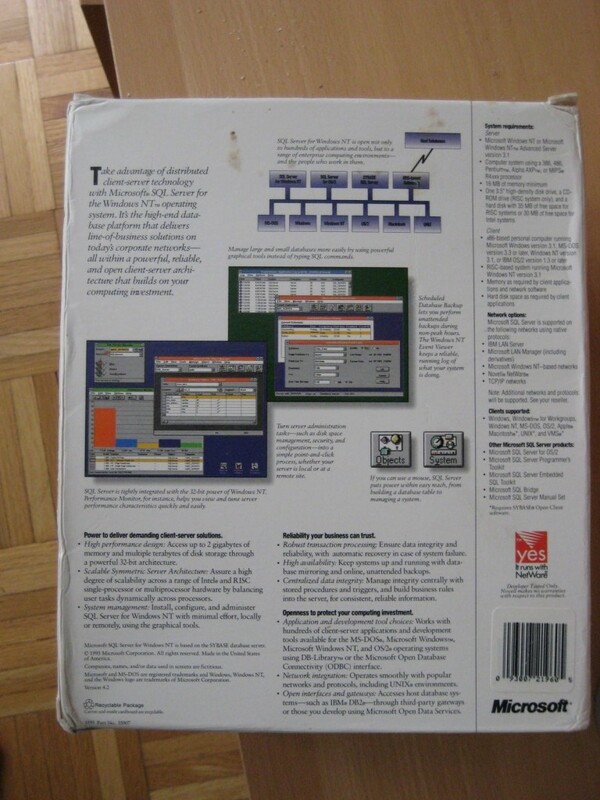 Check out the ‘requirements’ and it’s features… That’s why I love this old software! It’s not as bad as it’s reputation is… But on the x64 it’ll get it’s full 2GB of ram! 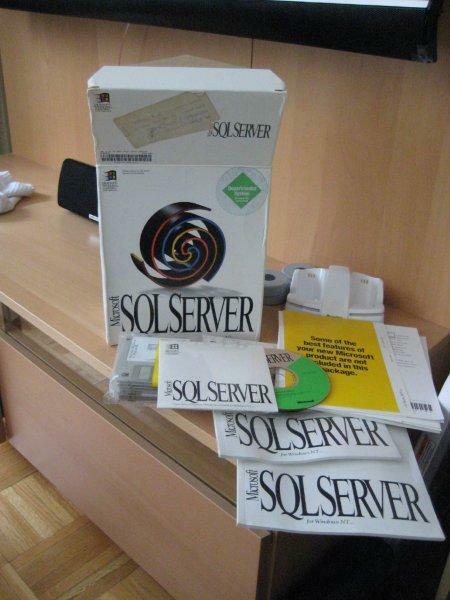 First off I have this copy of SQL server 4.21 that I wanted to run on my new super fast Vista x64 box. Now it’s 32bit but completely unsupported…. And off the CD the setup doesn’t work..
First from a Windows NT 4.0 CD I copy in the setupdll.dll file into the source path for SQL Server 4.21. Now the setup.exe will actually run. So the first hint is to set the compatibility for the setup.exe to “run in 256 colors”. Now it’ll render stuff correctly, however it’ll barf because it wants to overwrite the file “dbnmpntw.dll” which won’t work. So simply editing the setup.inf file and commenting out the dbnmpntw.dll line. Now the real pain is that it’ll run the setup, but it’ll crash when starting the sql server as a service… I still don’t know what’s crashing it. You’ll need some kind of MS-DOS environment to extract the service pack… Either DOSBox or VirtualPC with MS-DOS will quickly do the job. I like DOSBox for this kind of thing as it can directly mount the native filesystem..
Then add c:\sql\dll;c:\sql\binn to the system PATH environment…. 09/07/02 19:18:18.88 kernel Copyright (C) 1988-1993 Microsoft Corporation. 09/07/02 19:18:18.88 kernel All rights reserved. 09/07/02 19:18:18.88 kernel the United States. 09/07/02 19:18:18.88 kernel Sybase, Inc. 6475 Christie Avenue, Emeryville, CA94608, USA. 09/07/02 19:18:19.28 kernel Using ‘SQLEVENT.DLL’ version ‘4.21.00’. 09/07/02 19:18:19.28 kernel Using ‘OPENDSNT.DLL’ version ‘4.21.09.02’. 09/07/02 19:18:19.29 kernel Using ‘NTWDBLIB.DLL’ version ‘4.21.00’. 09/07/02 19:18:19.29 ods Using ‘SSNMPNTW.DLL’ version ‘4.21.0.0’ to listenon ”.  09/07/02 19:18:21.28 server Recovery complete. Contrl+C will kill it… You can fire up the SQL Administrator (C:\Sql\Binn\Sqladmin.exe) but it’ll freak because the master database isn’t fully built. It’s very close to usable but so far the only way to get around the incomplete master is to copy one from an existing DB… Good thing you have that NT 4.0 CD & VirtualPC right? Just remember that SQL 4.21 will only install PRIOR to sp6. SO the install order is NT 4.0, SQL 4.21, SP6, VMadditions, SQL service pack, then copy the c:\sql directory to overrite the prior one. You may also want to export the registry keys from the Virtual NT 4.0 machine [HKEY_LOCAL_MACHINE\SOFTWARE\Microsoft\SQLServer]. Ok now for the downside… For whatever reason it will *NOT* listen on TCP/IP. So it’ll only do named pipes… If you are only doing local stuff it’ll be just fine. The services don’t work, but the uptick is that it’s SMALL… A zip of the installed SQL is under 5 megabytes! So in the end, it’s not terribly usefull, but I found it interesting that with a little hacking SQL Server 4.21a will run on Vista x64 sp2. 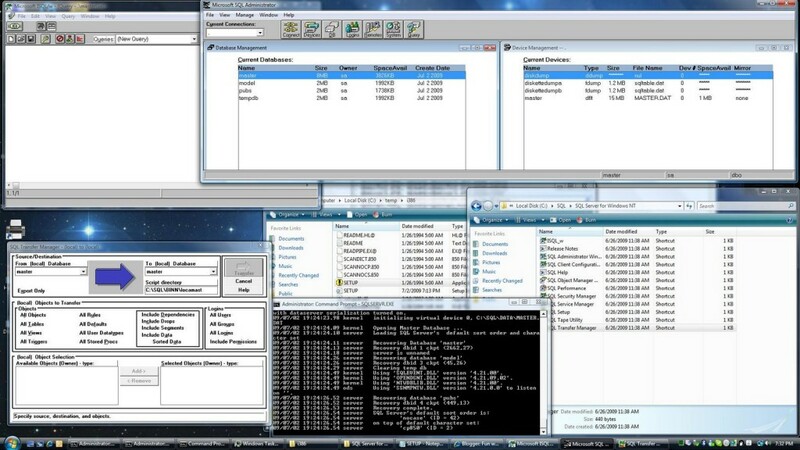 And here is a screenshot… I’ll have to do some quick benchmarks of 4.21 vs the 2008 Express stuff. For Windows users you’ll actually need a different archive that includes Windows support. I’m using VisualC++ 2005 Express to build this out. You can find it @ http://msdn.microsoft.com/express . Don’t forget the servicepack 1 for Vista users. It’ll compiler the interpeter, then it’ll compile all the bcpl bits, and dump you into a shell. From here you can type in ‘logout’ and cd into the bcplprogs directory and play around. From here you can play with the rest of the bcpl examples. You can exit the interpeter with either control C or logout. Currently there doesnt seem to be a cd command, so I just exit and move via the Vista command shell. I hope this clears it up somewhat. Ok, Ive been out of the country for a while… lots of fun! 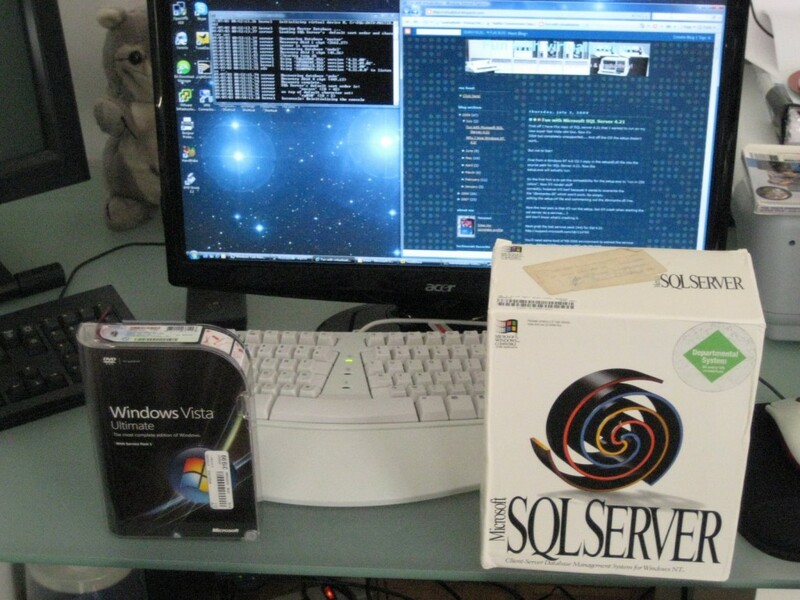 At anyrate, I’ve installed Virtual Server 2005 R2SP1 on my parents computer to give it a good shake down. The good part is that it support’s DVD iso images! Woohoo! The bad part is that for the most part you’ll get access errors when trying to use it. The only way I’ve figured out how to setup the thing, is to first configure IIS to not allow anonymous users, use the ‘built in security’. Next you’ll have to tell IE that on ‘trusted’ or ‘local’ zones you should have it pass the security automatically. That’ll get you to the configuration page. The next hurdle is that it wont let you start a remote console..
You’ll have to go into the virtual server security setup, and explicity add your user in there with full rights. The administrators group isn’t enough. With all that out of the way you should be good to go now!